What's New For the 2019 Mercedes-Benz S-Class? The 2019 Mercedes Benz S-Class has several new changes. Drivers and owners will like the new pinstripe grille with vertical stats. Its 20-inch wheels also stand out. Add to these changes new exterior paint options along with a new interior design. While these upgrades may appear to be minor to some, they actually give the 2019 Mercedes-Benz a startling appearance. People love driving the Mercedes-Benz brand because it is true that Mercedes has a history of making history. Mercedes-Benz also has a reputation for its engineering innovations. Each year, the company improves on the previous year. 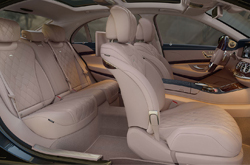 The 2019 Mercedes-Benz S-Class offers a trim level for just about every lifestyle. 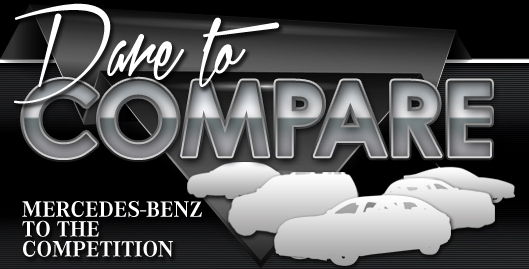 There are six, and they include the base S 450 4dr rear-wheel drive sedan, base S 450 4dr all-wheel drive 4MATIC sedan, base S 450 4dr rear-wheel drive sedan, base S 560 dr all-wheel 4MATIC sedan, base S 560 2dr all-wheel drive 4MATIC Coupe, and base S 560 2dr Cabriolet. Either choice of trim model and there is ample power under the hood to get drivers where they want to go safely and quickly. 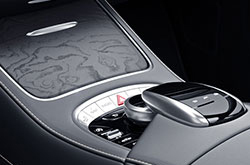 For the S-Class, there are two available engine options. These include a 4.0-liter V8 turbo engine that delivers 463 horsepower and 516 lb-ft of torque, or a 6.0-liter V12 that enables 612 horsepower and 516 lb-ft of torque. Either choice and drivers will experience pure, exhilarating power on the open road. This also equates to blurring speed when going from zero to 60 mph. 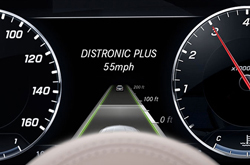 The 2019 Mercedes-Benz S-Class has all the safety amenities drivers and owners expect from the brand. Anti-lock brakes can sense when a tire has stopped rotating under extreme braking conditions. This enables the vehicle to turn while braking. Stability control can sense if the vehicle exceeds its handling limits. Brakes apply pressure to help prevent the drive from losing control. Front, side, overhead, and knee airbags offer a considerable amount of protection in the event of a crash. Add to the list anti-whiplash and a security system capable of detecting an unwanted vehicle intrusion. We invite customers to visit Elite Mercedes for a test drive. A test drive can help bring about a decision to purchase or lease. Most people will test drive to experience the vehicle's handling, power, safety, and comfort. 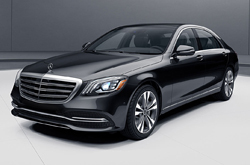 The 2019 Mercedes-Benz S-Class is worth the attention. Take the time to research and come to terms with everything you want in a vehicle. Visit today, we can help you narrow down your choices and make an informed decision. Ask about warranty options as well.